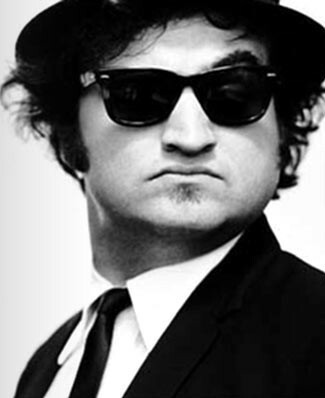 John Belushi, the larger-than-life tortured comedy legend, has never gotten a proper film about him. Sure, there was 1989’s Wired starring Michael Chiklis but, well, that sucked despite having the talented Chiklis front-and-center. For awhile, Todd Phillips was going to direct a Belushi biopic but the project stalled. Now THR says it’s back alive but Phillips isn’t helming the project. Instead, the movie’s writer, Steve Conrad, is pulling double duty and will direct as well. But who will play the SNL legend in Conrad’s film? Sources say Conrad has met with Emilie Hirsch, Adam Devine (Workaholics) and even Joaquin Phoenix. That’s one eclectic mix. Seeing Devine’s name in there made me chuckle at first but, you know what, he actually wouldn’t be that bad. While Phoenix might carry the most prestige of the possible names, I think Hirsch would be the best choice and would probably look most like the late comedian. No matter who is cast, he’s got his work cut out for him. Belushi is one of the all-too-common tragic comedic figures. The funniest man in the room, electric and unbelievably talented but also broken inside. There’s a lot of depth to a man like that. It’s a tale as old as time, sadly, and one that deserves to be told. Interesting side note: Belushi’s family is on board with the project. Judy Belushi Pisano and Dan Aykroyd are producing. Despite their love of Belushi, I don’t think the film will pull any punches with his inner-demons and shortcomings.